The glue that holds your wedding together? The Bridal party! They play an important role in the planning, the parties, and your sanity- so make sure they know how appreciated they are. The first step? Asking! This doesn't need to be an overly grand gesture, but something thought out and genuine for sure. They are a vital part of creating and helping you through this journey, make sure they know how special they are to you! 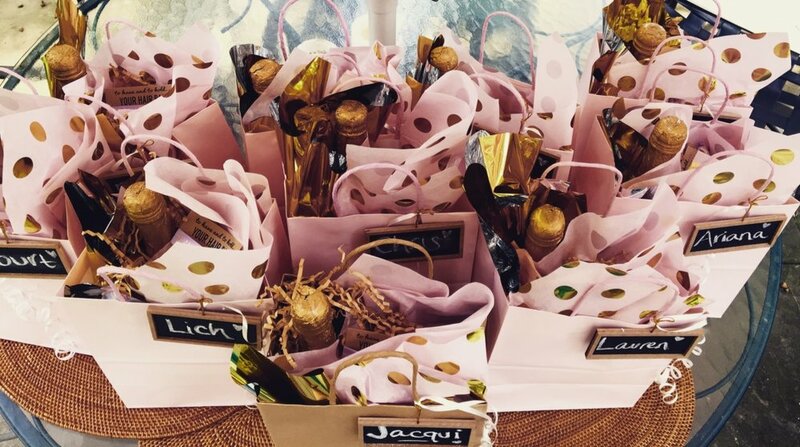 Gift Bags. Differentiate color for the maid of honor. Add fun and glamorous tissue paper to each gift. All from Target! Champagne (as a celebratory token). 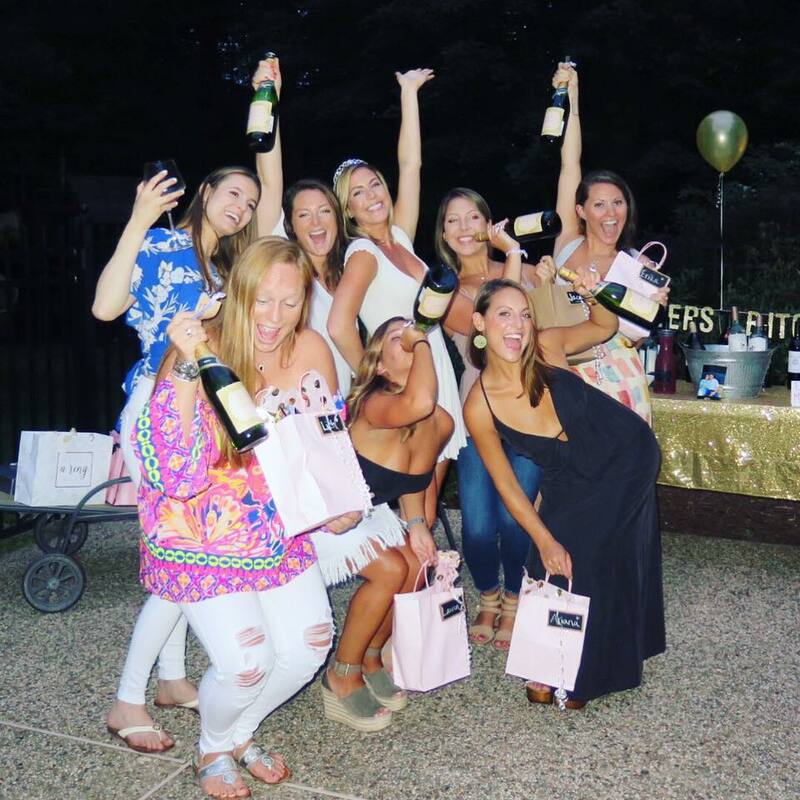 It is fun to POP the bottles together after you've "popped" the question to your maids! Fun Add-On Item: If you're feeling like you want a little something extra, use your imagination and add something you know your bridesmaids will appreciate. For example: hair ties, lip gloss, nail polish or personalized jewelry.